Have a volunteer or Web staff person create profiles on the various social networks found on the Internet. We have already discussed some of them, such as Flickr, the photo sharing social network and YouTube for posting your organization's videos. Now I would like to discuss three additional Social Networking Web sites with interesting offerings that have a direct application for attracting like-minded people to your cause. 1. Squidoo.com allows for you to create pages about what you're most passionate for and in doing so, you're going to start attracting other like-minded fans who share your passion for your cause. 2. Del.icio.us.com, in spite of its name has found an interesting niche. They've socialized the activity of bookmarking. How does this relate to attracting like-minded people to your cause, you ask. Good question. 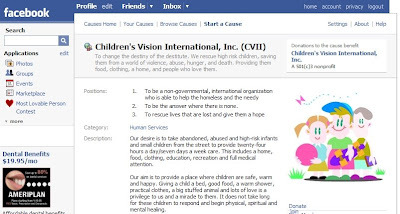 Your charity creates a profile on Del.icio.us and begins to tag and bookmark content back on your site. The social element of Del.icio.us kicks in and suddenly people are discovering your wonderful cause. Check out this video to capture the idea. 3. Twitter.com is catching on quickly. People like the spontaneity the site offers. If you are searching to make your charity more human and less institutional, Twitter is prefect for you. Create a profile and engage with others around everyday issues that you encounter keeping the cause moving forward and you will begin to see an army of people very interested in how they can help. Here's another great video to help you understand the power behind the idea of Twitter. Of course I would be amiss, if I did not include other networks, such as MySpace.com, Linkedin.com and Facebook.com. Here is one example of a charity's FaceBook page. 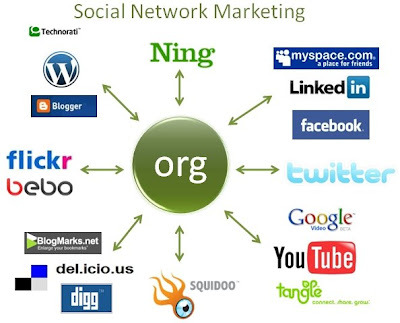 Today, Social Network Marketing is free advertising for charities. However, my fear is for the many nonprofits who will decide to pass on these types of opportunities . . . for one day they will find themselves socially irrelevant and that my friend, will be a very high price to pay.